Baltimore City Attorney Marilyn Mosby strode before microphones last year and let the world, the Black Lives Matter movement, social justice warriors everywhere and the world know she’d heard their cries for justice and she was on the case. She stood tall and would be the defender of those downtrodden souls targeted for being black or brown and targeted for violence and racism and mistreatment. She took her ‘noble cause’ and hung it squarely around the necks of six Baltimore police officers involved in the death of Freddie Gray. The problem is and was then, that she acted with great haste and more importantly she acted without enough facts in the case to win. Many would contend, myself included, not only was it not a winnable case but it wasn’t a criminal case at all. The bottom line narrative from Mosby was a failure as well; police officers in America are inherently racist (like anyone not black or brown I might add) and they target poor black men unfairly and then kill them without concern. The fault in the foundation of course is that half the defendants she targeted as being racist were themselves black including the Sergeant in charge working the day Freddie Gray was arrested and it should be noted she also denied doing anything wrong. Gray 25, had been in and out of the criminal justice system for years. Several officers, some black and some white picked him up on suspicion of having illegal drugs in a known drug area. He was put into a police van and sent to jail. When the vans driver, Officer Caesar Goodson, stopped to check on him along the way it was clear he had suffered a very serious traumatic injury. It was later determined he’d suffered a fatal neck and spine injury. Officer Goodson called for an ambulance but that wasn’t good enough for Marilyn Mosby, after all she was on a crusade for justice. She was going to ferret out racial injustice and police brutality aimed at people of color. 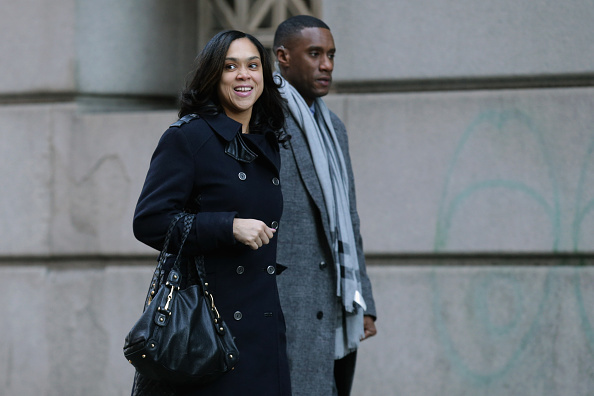 The fact that Goodson who was accused of the most serious crimes of any of the officers on trial including second-degree murder was himself black meant nothing to Mosby. It seems facts in general had little impact on the ambitious justice warrior leading the prosecution. All six officers followed excellent legal advice and chose a trial by judge rather than a jury because they all knew there was not a case for the prosecution to win. It just wasn’t there. Officer Goodson has become the third member of the gang of six to be acquitted on all charges. If you think there is any racial bias on the bench, you may want to look again. The presiding judge Barry Williams, in the interest of full disclosure, is a 53-year-old black man who is held in high esteem by most in the legal community. Williams himself is a former city prosecutor who investigated police misconduct and he tore down every piece of the prosecutions case. That puts Mosby’s record at a perfect zero and three. There are three more cases to go but the government should do the right thing and drop the cases now. At the next available opportunity the people of Baltimore should follow suit and drop Marilyn Mosby if for no other reason then out of sheer embarrassment.